Logitech has confirmed you can now use Google Assistant to launch Activities and other features from your Harmony hub-based remote. All you have to do is say, “Ok Google”, then simply speak your command. Voila! You'll also be able to use eligible Android phones and iPhones in the UK, expanding the possibilities of voice control. Want to turn on the TV? No problem, the command is “Ok Google, ask Harmony to turn on my TV”. 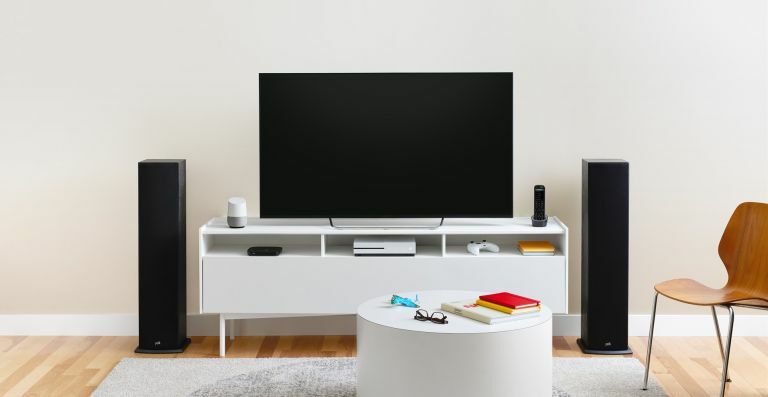 There are also similar commands for a host of actions including switching to your favourite TV channel, powering on an AV receiver and speaker, and even dimming the lights. The Logitech Harmony Elite is priced at £299.99, the Logitech Harmony Companion is £119.99 and the Logitech Harmony Hub is £99.99. All three are available right now at Logitech.com. Garmin has launched a new affordable Forerunner model, the Forerunner 30, that packs an impressive number of features (and an easy to use interface) into a package that won't break your bank balance in two. Runners using the Forerunner 30 will get a better idea of their fitness level with the addition of VO2 max, a measurable indication of aerobic performance or fitness level, while training tools such as Auto Pause, Auto Lap and pace/speed selection will keep you swimming in data. The Forerunner 30 features up to eight hours of battery life in activity mode and up to five days in smartwatch mode. It is available exclusively in Europe in turquoise, amethyst and grey and has a suggested retail price of €149.99 (£129.99). Tangent’s has launched a new Pebble Splash Bluetooth speaker that offers clear vocals with deep bass at levels normally only expected from much larger speakers. Oh, and it can handle any kind of weather, making it perfect for the bathroom, next to the pool or on the beach. Tangent’s new Pebble Splash hides multiple speaker drivers, providing amazing multi-directional stereo sound. Simply connect wirelessly via Bluetooth or an AUX cable (mini jack) for convenient and easy portable listening. For added convenience when using with your smartphone, the Tangent Pebble Splash also has a built-in microphone, so you can use it to make hands-free calls or attend conference calls for business use. The Computer Kit Complete works as a powerful DIY PC too, with apps like YouTube, WhatsApp, Google Maps and Wikipedia as well as Kano’s range of creative computing applications like Hack Minecraft, Make Art and more. This new kit will be available for $249.99/£229.99 through the Kano website and via select retailers from 1 November. Humax has launched a newly-designed Freeview Play Recorder, offering integrated Wi-Fi connectivity so you can catch up TV and on demand content. It's got three digital tuners so you record up to four programmes at once while watching another, and the Humax ‘Top Picks’ feature picks out popular content recommendations and more. The FVP-5000T Freeview Play Recorder as an 'Intelligent Smart Search' which intuitively discovers content from all sources (including live TV, recordings, catch up, on demand and streamed services such as YouTube). Add in compatibility with Humax's new app for iOS† and Android (for remote planning and programming) and a remote complete with programmable hot keys and you've got one powerful Freeview box. Available from the second week of October 2017, the Humax FVP-5000T has a suggested retail price of £229 for the 500GB model, £259 for the 1TB model and £299 for the 2TB model.